There are plenty of good reasons to upgrade the lighting on the exterior of your home. 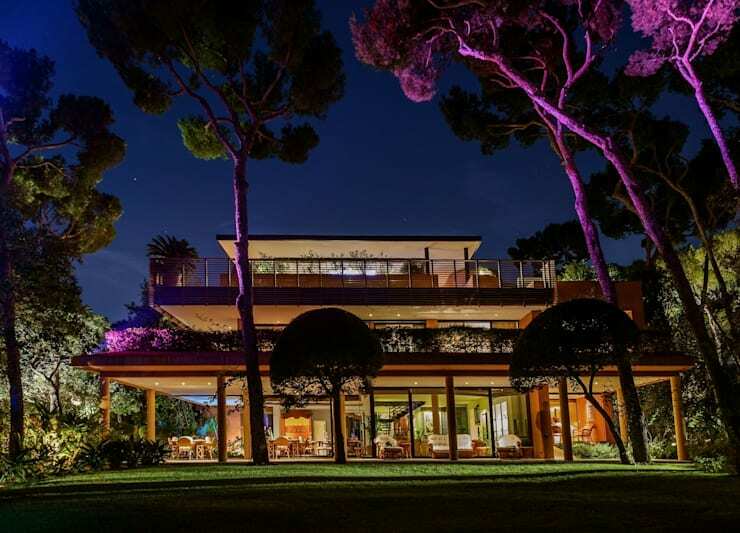 In terms of decoration, sensational outdoor lighting has the ability to completely transform the exterior for a very, very reasonable cost. This is particularly good for those looking to capitalise on an investment property. But it is also good for deterring thieves and creating a sense of safety when you arrive home at night. 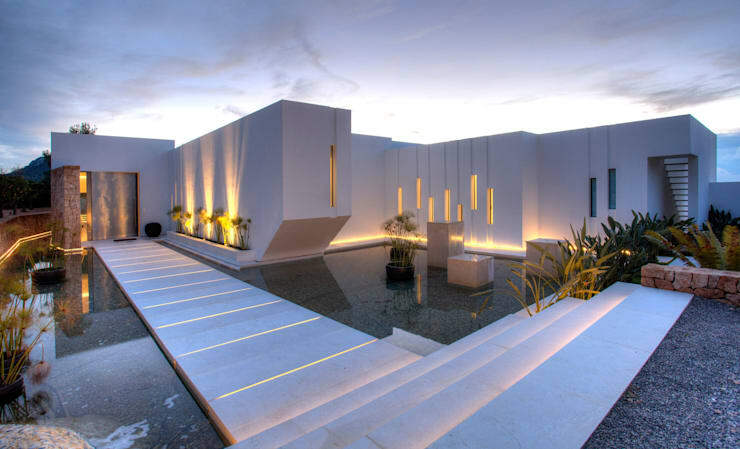 So today we'll present a rich variety of home facades with lots of brilliant lighting to get you inspired. Let's go forth and see the light! Direct light tends to flatten things while side lighting tends to highlight the textures and details. Look at this lovely terrace area. 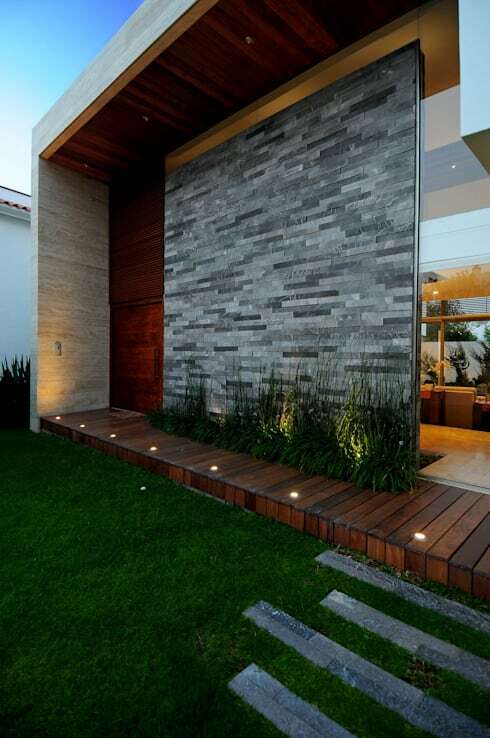 The little downlights highlight every tiny texture in the rustic stone wall. 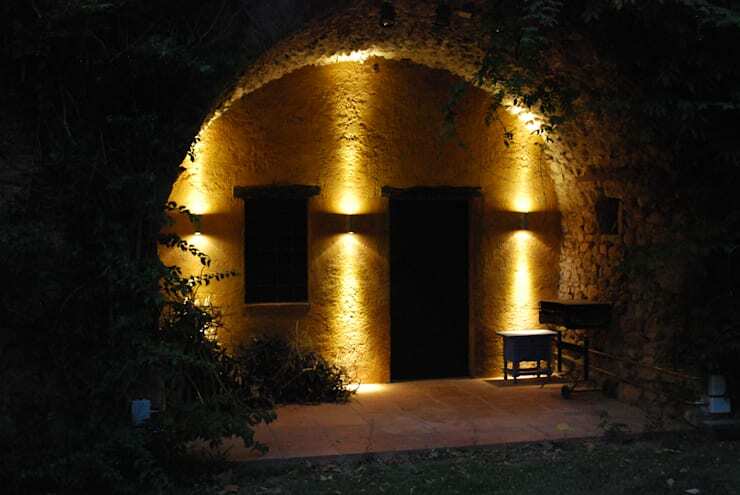 There are countless varieties of decorative outdoor lights available these days. Don't judge them on the look and shape of the actual fixture too much. Instead, check out how it affects the distribution of light. 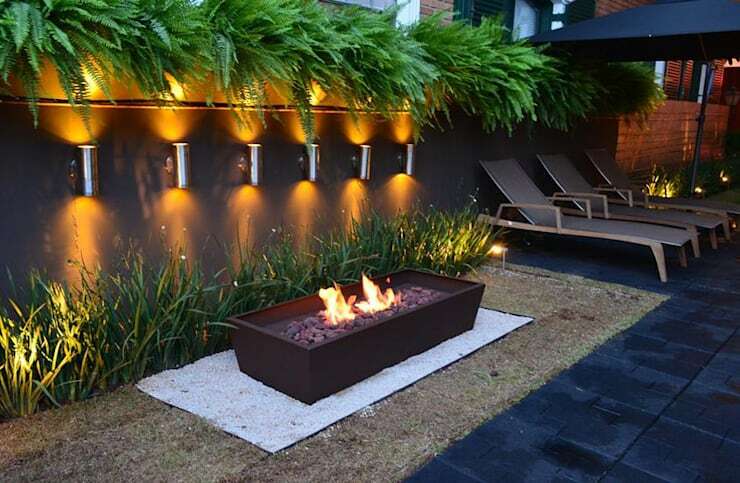 This garden wall has outdoor lighting on the warm end of the colour spectrum. This kind of hue will make even the barest and most unfriendly home feel cosy and welcoming at night. Direct spotlights may provide a lot of illumination, but they don't exactly create a special atmosphere. Choose low or dimmable lights to create a mysterious, moody ambience like this. 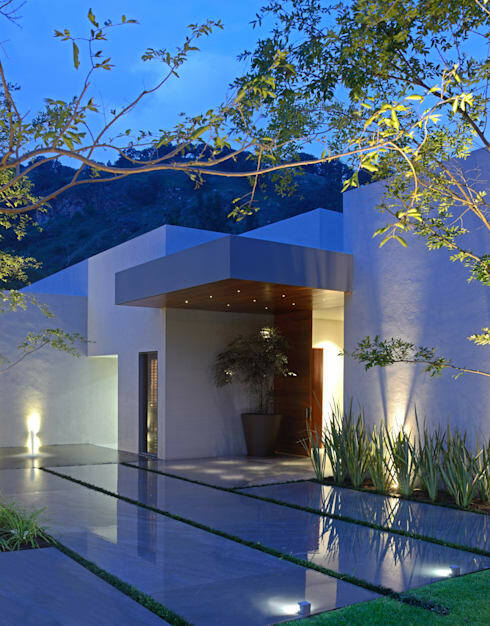 The surrounding landscaping can be a really powerful element in your outdoor lighting scheme. Tall, overarching branches and trees will look spectacular with some outdoor string lights or spotlights. 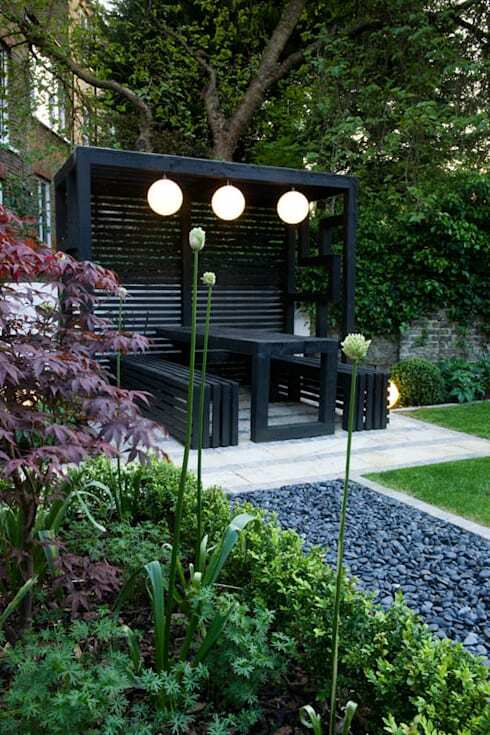 An illuminated garden will also generally make the home appear bigger and more abundant at night. Perhaps you could even choose something with a coloured hue like this. 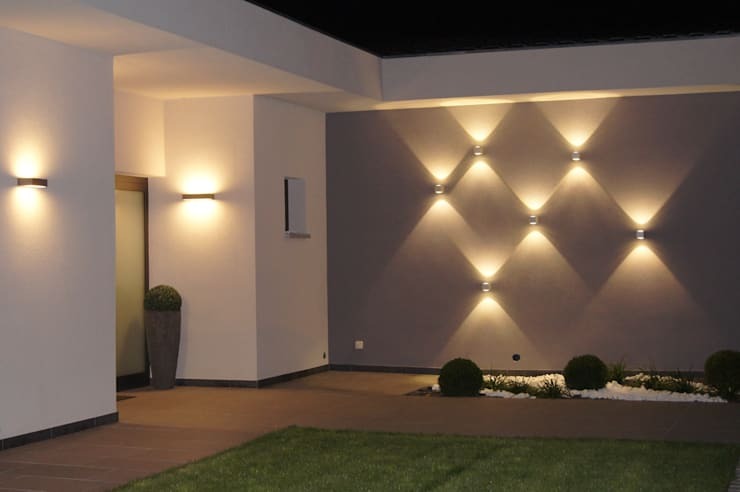 Outdoor lighting doesn't always need to be big and impressive. 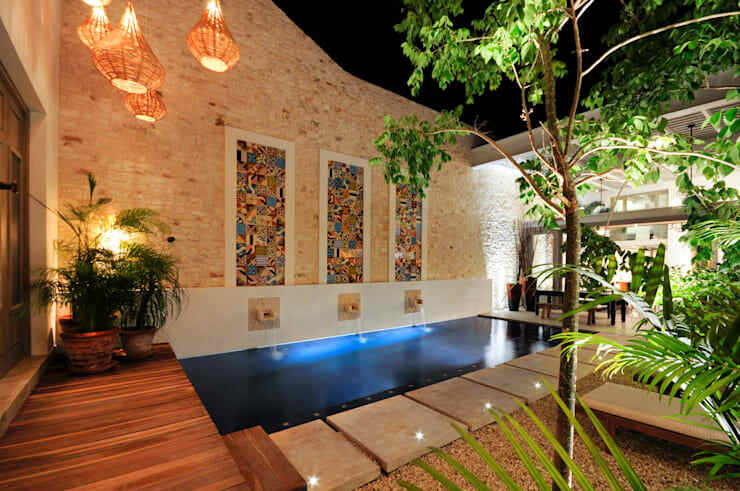 Tropical-style outdoor pendant lights can easily be worked into a larger lighting scheme. Organic style designs with warm globes are particularly popular at the moment. The secret to a good lighting scheme is texture. That means building up your lighting with lots of layers. In this outdoor entertaining area there is illumination buried within the hedge, on the ground and of course emanating from the fire. 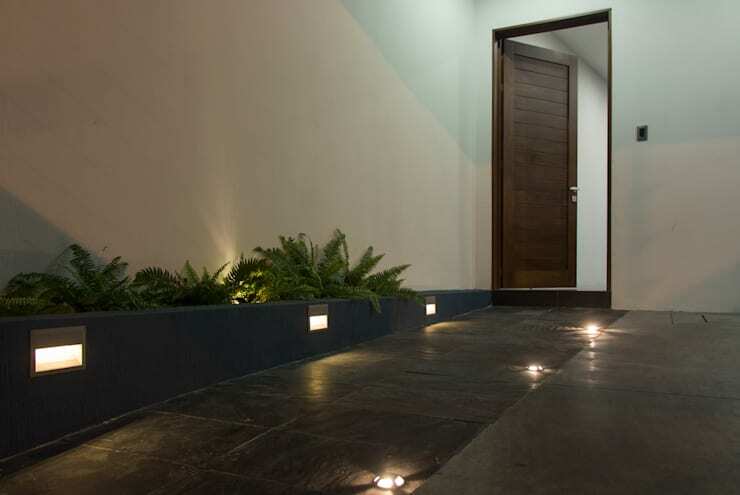 A row of little low lights can make for a wonderfully welcoming entrance. They should have some kind of cover, however, so the glare doesn't hit your guests' eyes. 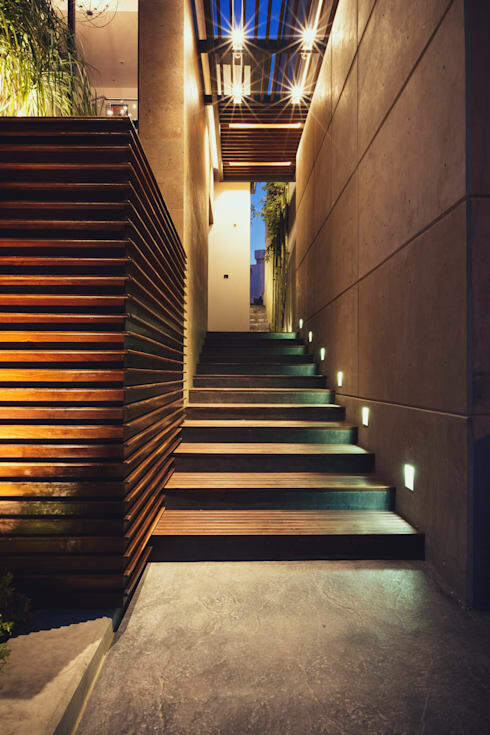 Many homes also have an outdoor staircase that really does need to be illuminated. This is really important for when older visitors come to visit. The lighting doesn't have to be fussy, recessed wall lights like this are perfect for a minimalist home. In visual terms, our homes are dominated by straight lines and sharp, orderly edges. Don't be afraid to liven up the exterior with random splashes of light. Portable, solar power lamps can easily be moved to different positions within the garden. If your home exterior has highly polished surfaces, they could easily be used to create a glamorous lighting scheme like this. 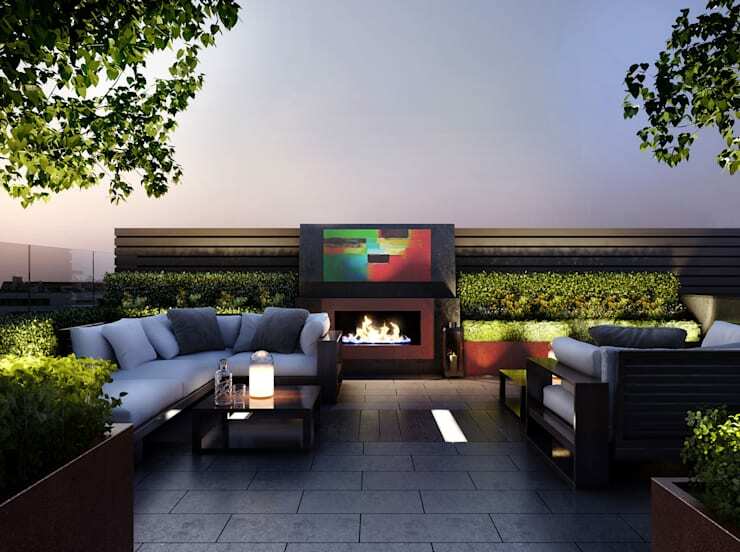 The lights bounce off the polished pavers and add an extra dash of pizzazz. This divine lighting scheme has been perfectly realised. Each light source is beautifully soft and mute. The best part? The lighting highlights the unique elements in the facade. 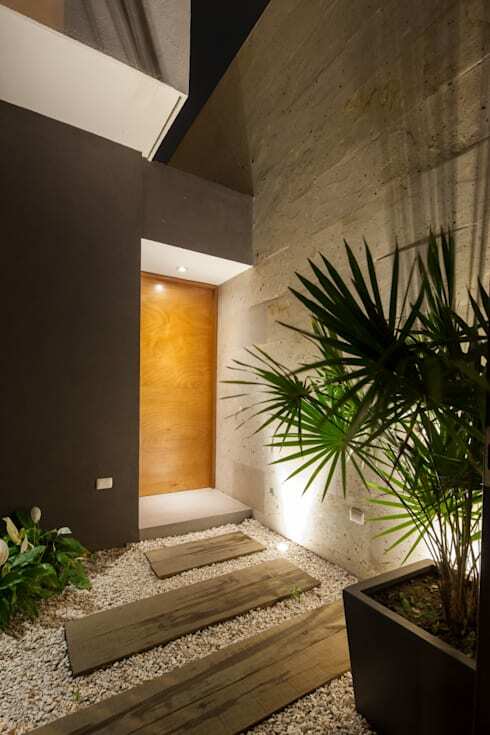 This home entrance has a little wooden platform that creates the best spot for some subtle ground lights. It just goes to show that good outdoor lighting doesn't always have to demand attention. In practical terms, the entrance light is the most important. It is the point where you rummage for your keys and meet guests. This is generally the spot for your most powerful task lights. 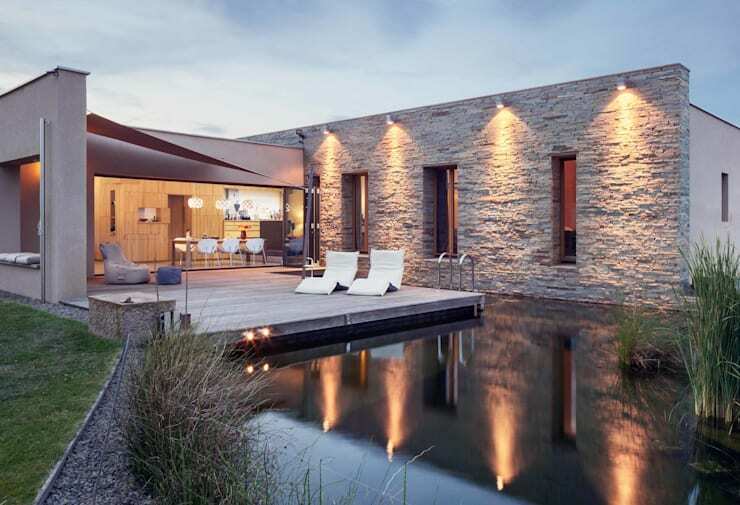 If you are lucky enough to have a small pond or outdoor pool, consider underwater lighting. In safety terms, it's a really important element to have. But it also adds a rather mysterious look to the home. If you want to glam up your home even more, check out 9 tricks to give your home a celebrity-style makeover. Which of these exteriors is your favourite?